There's a good chance that you'll see one of these cars in your rearview should you break the law. 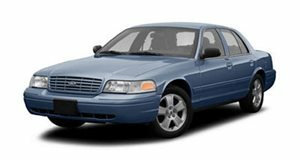 The days of the Ford Crown Victoria police interceptor are all but done as indicated by all of these contemporary cop cars. These fully modern police cruisers are built for speed, toughness and surprisingly, mpgs. The trucks and sedans featured here are all American and all awesome. Even if you aren&apos;t a fan of the police, you&apos;ll still want to check out all of these bulletproof trucks and sedans ahead. Who knows? Perhaps one day soon you&apos;ll be seeing one and its rolling lights behind you if you&apos;re caught driving too fast. The Ram 1500 Special Service Truck is one of the fiercest police trucks around. 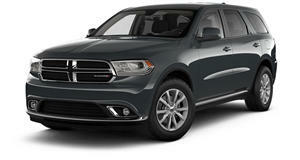 Dodge&apos;s law-enforcing pickup packs a 5.7-liter V8 engine good for 390hp and 407 lb-ft of torque. Ballistic protection capability has been added, as have bull bars and a 220-amp alternator to help power the truck&apos;s electrical equipment. Chevy&apos;s cop car can do 0 to 62 in 6.6 seconds and averages 17 mpg city and 27 mph highway. Despite the added emphasis on fuel economy, the 2012 Impala police interceptor is actually faster (302hp, up from 232hp) than the 2011 model. Criminals would do well to fear the latest Dodge Charger Pursuit. Dodge&apos;s newest offering packs a 370hp 5.7-liter Hemi V8. 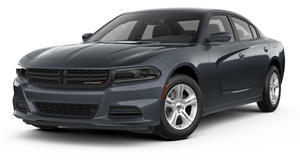 The AWD Charger is able to do 0 to 60 in 6 seconds and can get up to 25 mpg highway. The Charger Pursuit also features a performance-tuned suspension, self-leveling shocks, heavy-duty brakes and 18-inch steel wheels. Bad guys beware. 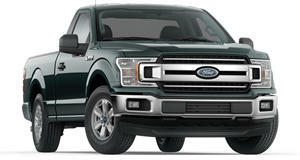 Ford&apos;s counter to Dodge&apos;s Ram 1500 Special Service Truck is the F-150 Special Services Vehicle. The package lets departments choose from a SuperCarb or SuperCrew configuration, a 4x2 or 4x4 setup and a 360hp 5.0-liter V8 or a 365hp 3.5-liter EcoBoost engine. The interior of the F-150 has been outfitted to include everything a police officer might need. Police departments in need of a hooked up SUV need look no further than the Dodge Durango Special Services. 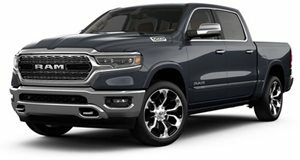 Dodge&apos;s third law enforcement offering can be either RWD or AWD and comes with two engine choices, a Pentastar 3.6-liter (550 miles on a single tank) V6 or a Hemi V8 (a towing capacity of 7,400 pounds).